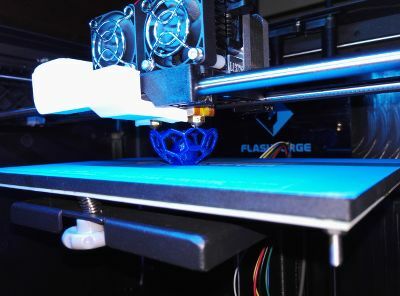 This article describes how to use the FlashForge Creator Pro with the open-source Slic3r program. Even if you're not going to use Slic3r, this article also contains general advice about how to improve print quality and reliability, regardless of what software you use. Why would you want to use Slic3r? Well, it is open source and costs nothing, it supports many printers so you're not locked into a certain vendor, and many new 3D printing features are pioneered in Slic3r and only later on blatantly mimicked by the competition, so you'll often be ahead of the curve. There are other guides about setting up Slic3r with the Creator Pro, but I have noticed that many of them are outdated or keep copying the same old configuration bits full of cargo cult while lacking certain necessary improvements. If you want to see what kinds of results I get with my FFCP + Slic3r, check out my makes on Thingiverse. Around 2011, 3D printing broke through to the mainstream, partially thanks to certain patents expiring. As usual a bit of a hype emerged and less-than-well-informed journalists started claiming that traditional stores would disappear and everyone would be downloading products and printing them at home. Of course reality slowly returned and it became clear that 3D printers are not the ultimate solution to everything, yet they are useful for specific applications. I waited for the dust to settle and decided to buy a commercial 3D printer built with know-how accumulated over those five years. After evaluating different models, I picked the FlashForge Creator Pro due to its competitive price point and good reviews. To convert a 3D model into a set of instructions your printer understands, you need a ‘slicer’. As the name implies, it is a program that slices the model into layers and then derives an optimal path for the extruders to follow to deposit each layer of material. The FFCP used to ship with an installer for ReplicatorG on the SD card. Do not use this program for printing however, there are much better ones (see below). ReplicatorG is still useful for changing firmware parameters through the USB interface, but even then you must obtain the latest compatible release because versions not specifically built for the Sailfish firmware are incompatible with the FFCP. When it comes to slicers, there are many options. FlashForge has been developing their own slicing program called FlashPrint which is pretty decent for beginner use. If you want to do more advanced things however and don't want to be locked into the FlashForge ecosystem, you'll need to upgrade to a different slicer. A popular one is Simplify3D but it is paid software and rather pricy. Many are enthusiastic about it because it “just works” (and of course because they paid a lot for it). This means that if you want to actually learn about the intricacies of 3D printing, it may be a bad choice because the software will shield you from all the things that can go wrong, which are usually also the things you learn the most from. If you just want to print things in the same way as you drive a car without knowing what makes it move, then you can just buy S3D, skip the rest of this chapter and move on to the hints. If you want to go the slightly more adventurous way of using a free and open-source program, I recommend Slic3r. It has many powerful features and is being actively developed so if you find a bug or have a feature request, you can report it on GitHub (here for the regular version, here for the Prusa3D edition) and the developers will probably look into it. Or you can even fix it yourself if you have the skills. There are two main variants of Slic3r, sharing the same code base: the regular one and the Prusa3D fork. I recommend using the latter because it is much more actively developed and contains extra features compared to the regular Slic3r branch. In fact I only support using the configurations I provide below with recent releases of the Prusa3D edition. The configs may happen to work with version 1.3 of the regular Slic3r, but I give no guarantees whatsoever. Slic3r can only produce text-based GCode files, but the FFCP only understands the binary X3G file format. You must therefore obtain a copy of GPX, a program that translates GCode into X3G. Ideally you should use a recent build that lists ‘fcp’ as a supported MACHINE type. If yours does not, then using the ‘r1d’ type is also OK. In Mac OS X, you can install gpx through Homebrew. You can also use GpxUi which is available for Windows and Linux as well. If you won't be using my make_fcp_x3g script, you will need to run gpx yourself. You must invoke gpx with the argument “-m fcp” or “-m r1d” to produce correct x3g files for the FFCP. 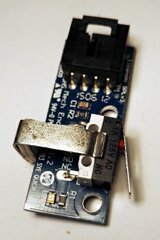 Slic3r lacks the ability to send commands directly to an FFCP over the USB serial connection. This means you either need to copy the X3G files to an SD card to print from, or use another way to connect to your printer. If you are in my situation where there is no need for a hyper-efficient large volume printing pipeline, I consider printing from SD card the preferred method. It does not suffer from typical problems of a serial connection like limited command throughput, and it does not require to keep a computer running near the printer and ensuring it does not crash or reboot. When using a WiFi-enabled SD card like the Toshiba FlashAir, you can even upload files to the printer without touching the SD card (see the hints section). If you do have a dedicated computer connected to your printer, then the best option is probably OctoPrint. I haven't tried it yet, but it looks very interesting and can be run from a cheap and power-efficient computer like a Raspberry Pi. There are two important parts when it comes to configuring Slic3r. First: general printer, filament, and slicing settings; second: the bits of GCode that will be executed at the start and end of every print. The G-code is included in the Slic3r config bundle I provide, but I also offer it as a separate download so you can update the G-code separately from the rest. I will try to make sure that the config file always has the most recent G-code but if you want to be really sure, download and install both. I provide the downloads as Things on Thingiverse. If you have a Thingiverse account, you can hit the ‘Watch’ button on the pages of both these things, and you should get notifications when I upload new versions. Follow the instructions in the following two sections to install the config and G-code. Both the config bundles and GCode are maintained in a GitHub repository. I provide my Slic3r settings as a config bundle, but beware: these are tweaked for specific filaments, all-metal hot-ends, a glass printing bed, and my personal preferences. Although it may be sufficient for your needs, this config bundle should be considered a starting point only. You will need to adjust the settings according to your setup and possibly your specific prints. I rarely use the profiles as-is, I usually tweak things per print. For a guide on tweaking Slic3r's settings, I refer to the Slic3r manual. The first time you run Slic3r PE, it will show a configuration wizard. Select ‘Custom’ at the left and skip through the wizard, it doesn't matter what you enter. A triplet of ‘My Settings’ presets may be created, you should preferably delete these. If you used Slic3r before and want to make sure that no old settings linger about, delete all profiles you haven't created yourself: importing a new bundle will not delete obsolete presets. The config you downloaded contains two important parts. First, the ‘make_fcp_x3g’ post-processing script. This is optional but highly recommended. You can opt to instead manually convert .gcode files to .x3g, but that is cumbersome and will not perform some steps the script performs, like a workaround for a bug in Slic3r that can cause the wrong nozzle to heat up. If you want to use the script, install it somewhere on your computer and ensure it is executable. In Linux or Mac OS X a suitable location would be a ‘bin’ folder in your home directory where you might also store other personal executable files. If you're using a recent version of Windows, you can run this bash script in WSL via a BAT script: see the GitHub repository for instructions how to set this up. Even if you want to manually post-process, you must still consider the path: in that case it is simply empty. Now it's time for part 2, the config bundle .ini file itself. It comes in two variants: most likely you need the regular one. You only need the ‘MVF’ one if you have installed the MightyVariableFan system. The post-processing path you remembered above needs to be configured in the config bundle. You can do this after loading it in Slic3r but it is far less tedious to do this beforehand by editing the ini file itself: change all lines in the file that start with “post_process = ” such that the path (or nothing!) comes after the ‘=’ sign. You can do this with find & replace in a plain text editor. Those familiar with console commands can use a tool like ‘sed’. Now load the .ini file using ‘Load Config Bundle’ in Slic3r's File menu. If you did not edit the .ini file beforehand, you must now go through every Print Settings preset and enter the path in ‘Output options’ → ‘Post-processing scripts’, replacing the bogus default value. You also need to do this for each of your own custom profiles. This is very tedious, so it pays off to edit the .ini file itself. Next, ensure the GPX program is installed and you know its filesystem path. If you use WSL in Windows, install GPX inside the Linux environment. If you wish to use my other post-processing scripts like the one for dualstrusion, now is the time to install them as well. Ensure gpx and all script files are executable. Then open the make_fcp_x3g file in an editor and follow the instructions in its comments to set the correct filesystem paths to gpx and any post-processing scripts. Now it is time to test whether everything works: load a simple model and use the ‘Export G-code’ button. If everything is set up correctly (and you've set up the post-processing script), you should find an .x3g file next to the exported .gcode file. If something went wrong, information may be found in a ‘WARN’ or ‘FAIL’ file if present. If you run the make_fcp_x3g script yourself with the ‘-c’ argument, it might be able to diagnose problems. The G-code snippets are responsible for preparing the whole printer up to the point where it can start extruding the very first layer of your model, as well as for finishing the print and tool changes for dual extrusion. The config bundle you imported might not contain the most recent G-code because I may have updated it separately. To update the configs to the latest G-code, proceed as follows. Open the G-code snippets you downloaded above in a text editor. Go to Printer Settings and copy each ‘Start’ snippet to the ‘Custom G-code’ section of each corresponding printer profile (left to L, right to R, dual to LR). Remember to click the save button and overwrite the config after each change. Copy the ‘End’ code to all profiles. Copy ‘ToolChange’ to both ‘Dual Material LR’ profiles. There is also a file ‘Start-dual-extruders-postproc’, use this instead of the regular ‘Start-dual-extruders’ if and only if you want to use my experimental dualstrusion post-processing script. Beware: this code will move the extruders along a line at the front edge of the platform. If you use a glass plate, ensure the nozzles will not knock any mounting clips off the front corners during the start procedure. Mount the clips at the sides, about 10 mm from the front edge. Or better: use side-mounted clamps (like these) that do not stick out above the plate. If the glass plate is wider than the platform, you may have to tweak the code to ensure the ‘chop’ works. This is not essential but ensures you can use the maximum available area of your print bed, as well as the maximum vertical range of the printer. When everything has been set up, print a tiny test object. The latest version of the G-code (2019/02 or newer) primes the extruder by printing a line across the front of the bed at exactly 3 mm from the front edge. If this isn't the case, go to ‘Home offsets’ in your printer's LCD menu and adjust as follows. If the line is printed at more than 3 mm from the front edge, increase the Y home offset. If it is closer to the edge or is extruded in free air in front of the bed, decrease the Y home offset. To calibrate the X home offset, print a small symmetrical object (like a cube) at the centre of the bed, then measure with a ruler whether it is at equal distances from the left and right bed edges. If it is nearer to the left edge than the right, decrease the X offset and vice versa. If you have a glass plate on top of the bed and it is smaller, you should adjust the ‘Bed shape’ in all Slic3r printer profiles accordingly. Similarly, you should also determine how much vertical range you actually have: most likely it is more than the advertised 150 mm. My printer can print objects up to 170 mm tall. If you know how high you can go, modify the ‘Max print height’ value in all the Slic3r printer settings, and also update Z_MAX in the make_fcp_x3g script. The dual nozzle design of the FFCP is not a very good solution for dual material printing, partly because it was one of the first attempts at it. Originally I found the FFCP's dual nozzle setup mostly useful to always have two filaments ready for use. Eventually though, I made it a habit to remove the right stepper motor and nozzle except for the very rare occasions when I do a dualstrusion print. Removing this extraneous carriage weight results in a very noticeable reduction in ringing artifacts (see below). It is possible to get good quality dualstrusions despite the limitations of the single-carriage-dual-extruder setup, by sacrificing print speed and material. The current editions of Slic3r however do not have the right provisions for this. If you simply let it do its thing, you will end up with a print full of ugly ooze and possibly holes as well. Improvements are being implemented in the Prusa3D edition, but they currently are specific to the Prusa printer models and do not work for the FFCP. To work around this, I wrote a post-processing script that does all the necessary things to get the most quality out of the single-carriage-dual-nozzle setup for a dual extrusion print. You can find the script and instructions on another page. If you look around on the internet, you will find copies of the same old GCode endlessly circulated with minor changes that often do not make sense. If you find GCode with the codes G130 or M108 in them, do not use them with your FFCP. Those snippets have been pasted together in a Cargo Cult manner by people who barely had a clue what they were doing. The exact same homing procedure is used as for bed levelling, giving the best chance of homing the platform to the same height (unfortunately there are many caveats, see the tips section below). The coordinates have been adjusted to truly match the platform of the FFCP. All cargo cult cruft has been removed, including the G130 commands that could mess up your factory-tweaked stepper bias settings. Extruder steppers are shut off entirely during heating to save power, instead of doing something stupid with the bias voltages of all steppers and then resetting them to an arbitrary value. The nozzles do not heat beyond 140°C while the bed heats up. Only when the bed has heated, the nozzles continue heating to their target temperature. This minimises oozing and avoids ‘baking’ filaments like woodfill which may result in an extruder jam. The nozzles are parked in front of the platform while heating. Then they chop off any oozed filament on the edge of the platform before starting the print. This greatly reduces the risk that the ooze ends up messing up your first layer. This generally allows to start prints in a fire-and-forget manner if you have properly levelled your build plate. For some really sticky filaments like PETG, it may be necessary to stick a piece of painter's tape to the front of the bed or glass plate where the chop is performed, to ensure it works reliably. Speeds have been tweaked to be neither too fast nor slow. Left and dual extruder code does a proper tool change with sufficient clearance for the nozzle swap. This means your coordinates are not all messed up and you can use correct values for the platform origin. The code for dualstrusion does something useful and actually prepares both nozzles. The tool change code ensures the nozzle swap happens at a predictable and appropriate speed (this move is not accelerated, therefore it must not be too fast). Long story short, the person who wrote this code, for the most part did know what he was doing. I explicitly waited to publish this code until I knew what each line did and why. There is no Cargo Cult in here, at best one or two lines that are redundant. Another side note: the make_fcp_x3g script invokes GPX with the ‘-p’ option. This causes it to override the print percentage shown on the LCD display by estimating how long each print move takes, and making a wild guess at the pre-print warm-up time. Because of this guess and it being unaware of acceleration for print moves, it is usually overly optimistic especially at the start of the print. It is however a whole lot better than just mapping the Z axis to a percentage as Slic3r does. I will not give a full manual for Slic3r here, there is an entire website for that. I will give some remarks about using Slic3r with the config I provide above. My workflow is as follows. The above screenshot shows where in the UI each step occurs. Things may be in different places in the latest Slic3r PE releases, but the same principles do hold. Select print settings, this will determine layer thickness and other quality-related parameters of the print. Below I give an overview of what each of my print profiles do. Select printer profile, this determines whether you will be using the left, right, or both extruders. My config contains separate profiles marked ‘flex’. As the name implies, these should be used for flexible filaments but they are also recommended for any other filament that benefits from slower retraction speeds. Select filament type(s). Obviously if you are using one of the ‘Single’ printer profiles, select the filament that is loaded in the extruder you will be using. For the dual extruder profile, the top filament is the right extruder and the bottom one is the left. For some filaments like ABS there is both a regular and a ‘fan’ profile. The latter keeps the fan enabled all the time and print temperature may be higher to compensate. This should only be used for smaller parts that have considerable overhangs or need to have a perfect finish, it is the recommended setting when using the ‘extrafine’ profile. Large ABS parts must not be printed with the fan enabled all the time unless you have upgraded your printer to be capable of variable fan speed. For some filaments like PLA, the fan is always on. Load one or more models. If it will be a dualstrusion, see my dualstrusion article for more details. Scale, rotate, duplicate, move the object around if desired, and load any additional objects. Inspect the preview and layers to see if there is nothing suspicious. As any software, Slic3r has bugs, and poorly designed STL models may cause problems like missing layers. 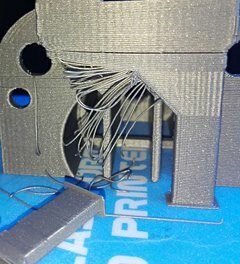 It is better to notice and work around problems before starting the print, than finding your printer full of Angel Hair Pasta after several hours. Export G-code and feed the X3G file to the printer. Beware: if you do not use the ‘make_fcp_x3g’ script included in the config bundle, and you want to do a print with the left extruder only, you must go into the object settings, and set the extruder for the STL file inside the object to 2. If you don't do this, the wrong extruder may start heating after layer 1, ruining your print. Extrafine: prints slowly at 0.1 mm layers. For ABS, this produces by far the strongest and usually also the best-looking parts. Of course prints take ages and it is not necessarily the best possible profile to get maximum quality in all cases, but it is a good starting point for relatively small parts that need to look nice. Fine: prints a little faster at 0.15 mm layers. It will in many cases still produce very nice-looking parts that also are quite strong, but print time will be considerably shorter. This is a good all-round profile for not too big parts. Medium: prints at a normal speed at 0.2 mm layers. Good for the typical print you don't want to wait ages for which does not need to look super-detailed or be super-strong. PLA parts will probably still be very sturdy, ABS maybe less. MediumStrong: a bit of a hybrid betweem extrafine and medium, prints slowly at 0.2 mm layers. Good for parts that need to be strong but don't need fine layers. ABS parts still tend to be weaker than with ‘extrafine’. Rough: good for merely a quick prototype where looks and strength don't really matter. This prints quite fast at 0.27 mm layers. You'll also find an oddball profile ‘wireframeShapes’ that is much more suitable to print thin skeletal structures like these. This illustrates how you sometimes need to deviate completely from the usual settings to obtain an optimal result. All settings are tweaked for 0.4 mm nozzles. If you swap out your stock nozzles for a different size, you will need to modify the configs. Of course, feel free to create your own presets. If you want to keep my pre-made print settings up-to-date, keep in mind that any changes you make to them will be overwritten the next time you load an updated config bundle. Save modified presets as copies with unique names if you don't want them to be overwritten. As a general recommendation, make sure you have a good calliper or a micrometer. It is essential to know the exact diameter of filament you buy, so you can configure it in your slicer program. It is also extremely useful to accurately measure parts you are trying to make a 3D model of, and to check whether the first layer is printed at the expected thickness. I recommend a mechanical calliper with a clock-like dial. This is accurate, easy to read, and has no stupid batteries that die at the wrong moments. Another good investment is a small infrared thermometer. This allows to check whether the temperature of the printing bed is correct, which is especially important when using glass (see the adhesion hints). Use my custom plate levelling code files. They allow to align the left or right nozzle separately with more sensible probing positions. Moreover, different versions are available depending on the thickness of your levelling sheet. Print and mount my dual fan duct. This directs airflow at both nozzles so you can provide proper cooling when dualstruding. Moreover, it provides a better airflow than the stock duct even for single extrusion. This is not just recommended, I consider it essential. If you're only going to print with a single extruder, I have made a variation on this duct that provides even better cooling (but it requires always using the left extruder). 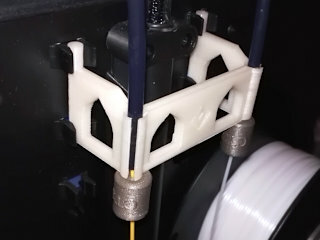 Print adjustable spool holders. As soon as you buy a new spool, you will notice that every manufacturer uses spools of slightly different widths, while some have a recessed axle hole and some do not. My adjustable holders can handle any spool with a 54 mm hole that is between 35 and 80 mm long. Print a filament feeding spacer. It ensures filament is unwound from the spool in a more symmetrical manner. Mount it in the two topmost clamps. You will need to cut a bit off the guide tubes to compensate for their higher mounting point, I shortened the tubes by about 35 mm. This is an older model that allows the tubes to stick out from the bottom, you should print the newer model. Other models of this spacer exist with multiple holes to allow exact centring regardless of spool width, but that is overkill. Print filament filters. These keep dust from reaching and possibly clogging the nozzles. Place the filter where the filament enters the guide tubes (see photo). Verify the alignment of your Y axis belts, see the section below. Ensure the umbilical cord is not sagging to the left or right where it exits the back of the printer. Otherwise it could get snagged on the transparent cover when the nozzles are at the front of the platform. You can print a simple support if necessary. Check the Z endstop at the back of the printer (visible with the platform lowered to the bottom). The switch should at least be parallel to the bottom of the circuit board. If the board sticks out farther than the switch, push the switch down a little. I have also clamped the switch to the PCB to ensure it is perfectly stable. Never operate the printer while this switch is removed, or it could destroy itself in spectacular ways. If you don't mind soldering a bit, I would recommend to replace the microswitch of the Z endstop with a Cherry DG23-B2LA. You can apply a few small blobs of silicone kit to the door to keep it from rattling while the printer shakes during prints. However, if you correctly tweak settings, the printer should not shake often. The plastic hood may have sharp edges that increase wear on the filament guide tubes and umbilical cord. Sand these (both at the top and bottom of the hole where the tubes enter the hood) until they are smooth. Your X axis can become non-perpendicular to the Y axis, hence if you try to print a square, you'll end up with a parallelogram. If you use my start G-code, you'll see that the initial priming line is not parallel with the edge of the bed. There can be a noticeable ripple on walls printed parallel to the Y axis. The ripple will have a 2 mm period, because this is the pitch of the belts. You can also feel this ripple when manually pushing the carriage back and forth. Next to checking whether the X axis rods are skewed w.r.t. the bed or printer housing, or noticing the 2 mm ripple, you can also easily detect misalignment by plucking the Y belts like a string. If they have considerably different pitches, they are misaligned. Correcting this would have been easy if FlashForge would have incorporated a detachable coupler on the rod that connects the two pulleys to the Y stepper motor but since they haven't, a more cumbersome solution is needed. Cut two strips from a piece of blister packaging, 6 mm wide and about 5 cm long. Bring the carriage forward. Stick the strips in between both Y belts and the underside of their rear pulleys. Then push the carriage backwards until the strips are rolled around the pulleys, see the above photo. Now the belts can slip over the pulleys and you can wiggle the X axis bars until they are perfectly parallel to the frame, and the belts have the same pitch when plucked. Finally, simply pull the carriage forward again to roll out the blister strips. Check the result and repeat the procedure if necessary. There is an alternative to this procedure, it provides easier and more accurate adjustment but is not for the faint of heart. 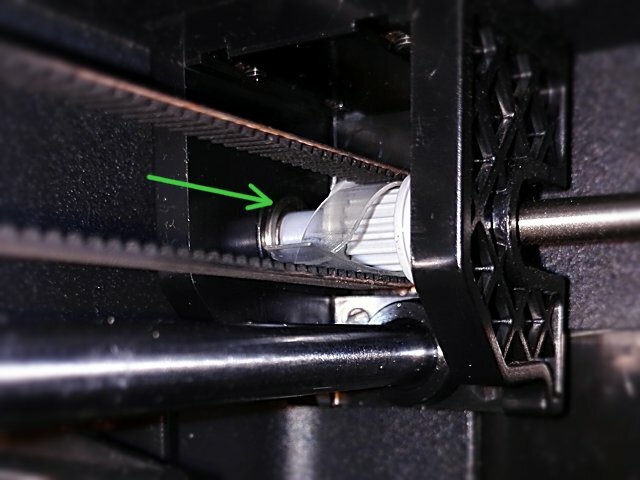 After disassembling the upper part of the printer, you can cut the narrow rod that connects the two Y axis belt pulleys and reconnect it through a 5 mm axis coupler as shown in the photos below. If the belts become misaligned, you only need to loosen the coupler, align the X axis, and tighten the coupler again. One of the most common problems with 3D printing despite many years of evolution is the first layer sticking insufficiently (or sometimes too much) to the platform. Here are some tips in case you suffer from prints that won't stick or that you cannot remove from the platform without resorting to hammers or power tools. Ensure the bed is properly levelled. Ensure the nozzles are clean and preheat the bed to the temperature that will be used for the first layer (do not preheat the nozzles: it doesn't make a difference in accuracy while the oozing filament does make levelling a hassle). Use my custom levelling files instead of the file that came with the printer. Use the appropriate file depending on the thickness of your levelling sheet, and ensure there is a good amount of friction without needing to use a lot of force to get the sheet under the nozzles. If you do it right, you should only re-level when printing at a different bed temperature or when switching nozzles. Ensure the build platform is free of any possible residue, especially greasy stuff. Isopropyl alcohol (also known as isopropanol, IPA, or rubbing alcohol) is highly recommended. If you print on BuildTak or the blue stickers that came with the printer and you suddenly are unable to get any adhesion at all even after cleaning with isopropanol, you can try a fast wipe with a cloth that has just a little bit of acetone on it. This is generally not recommended and should only be a last resort, as acetone will dissolve the surface. If you use it sparingly however, it can do wonders to regain adhesion. Caution: make sure the platform has cooled down well below 50°C before you do this or the sticker will most likely crack! Ideally the printed first layer must have the thickness as specified in your slicer program. If it is thicker, you risk too little adhesion. If it is thinner, it could get hopelessly stuck. Print a single layer or take the skirt from any print, and use a calliper or micrometer to verify the thickness. If it is too thick, either use a thinner levelling sheet or strive for more friction while levelling. Adjust the bed temperature to the material. If it sticks too little, increase the temperature. If it sticks too much, decrease temperature. Do not expect all plastics of the same family to work with the same temperatures. For instance I have black ABS that nearly fuses with the blue print surface if it is hotter than 95°C, while the white ABS that came with the printer needs 110°C. With a glass bed, the variance tends to be much smaller. Do not extrude your first layer too thin or too narrow. A thicker layer helps with unevenness in the platform while a wide extrusion is simply essential for good adhesion. Do not go below a thickness of 0.2 mm or an extrusion width below 125% of your nozzle diameter for the first layer. If for some reason it is crucial that the model is printed with a thin first layer, use a raft. Print the first layer at a slow speed. Do not go above 30 mm/s. If you need to use a thinner first layer, you may need to slow down. I usually set a fixed speed for the entire first layer but you could also use a percentage of normal speeds. If you are fed up with the disadvantages of the blue print surface or similar, buy one or more borosilicate glass plates of 230×150 mm, and apply a thin layer of 3DLac or the right brand of hairspray (e.g. Aquanet) before each ABS print. Never spray hairspray inside the printer, do it outside before mounting the plate. Some types of PLA don't even need hairspray, only a perfectly clean glass surface (again: isopropanol is recommended) heated such that it is about 60°C at its top surface. If this provides too little adhesion, try a very fine layer of hairspray. Printing on glass has multiple advantages. It results in reliable adhesion as long as the plate is heated. When it cools down, the adhesion goes away and your print simply pops off, usually spontaneously. Moreover if you have multiple plates with identical thickness, you can immediately start a new print by merely swapping them out so you have all the time to remove the previous print from its plate. If you install a glass plate, don't forget to add a shim for the Z endstop. I also recommend using brackets that clamp the glass from the sides, so you don't need to worry about anything sticking out above the surface. If you use a glass plate, be aware that glass is a rather good thermal isolator, therefore to achieve a certain temperature at its top surface, you will need to heat the bed to a slightly higher temperature. For ABS, heating the bed to 110°C works fine for me when using a 3 mm plate, for PLA I use 60 to 65°C (depending on how cold the room is and the particular brand of PLA). The temperatures set in the LCD menu for preheating are also the ones used during filament loading. This is good to know if you're loading special filament that requires a higher or lower temperature than usual. Unloading filament is often easier by choosing the ‘load’ option, waiting until some filament has been extruded, and then pushing the extruder lever and yanking out the filament. This avoids the problematic blob that usually occurs when unloading the normal way. When you are going to print something wider than 34 mm (the distance between the nozzles) with a single nozzle, and it is paramount that the unused nozzle won't bump into anything and ruin the print, unscrew it. The simplest way is to unload the filament, and unscrew only the nozzle itself with a 9 mm wrench, while clamping the heater with an adjustable wrench. For less crucial prints that do have certain fragile structures (like supports) at one side only, you can reduce the risk of disaster without removing the unused nozzle, by rotating the model such that the unused nozzle will not pass over the fragile parts. To ensure both nozzles are at the same height, the easiest way is to remove the motor of the highest nozzle, loosen its set screw, and then align both nozzles right against the levelled plate (see YouTube video). If you cannot get a perfect alignment this way, you can correct those last few fractions of a millimetre by inserting a few layers of adhesive tape between the carriage and the aluminium bar at the side of the nozzle that is too high. The cooling fan has no variable speed. Don't bother setting different speeds in Slic3r or Simplify3D, any speed higher than 0 will result in full throttle. This is because the microcontroller in the FFCP only offers an on/off control for the ‘EXTRA’ output the fan is connected to. There are two ways to obtain variable fan speed: either manual, by installing a PWM controller in between the ‘EXTRA’ output on the PCB and the fan, as explained here; or fully automatic through a more advanced setup as explained here. When printing on a ‘disposable’ surface like the blue stickers or BuildTak, randomly position each print so the surface wears out more evenly instead of only in the middle. You can do the same on glass to avoid having to reapply a new layer of hairspray each time. Do not wipe the blue sticker or BuildTak-like material with a volatile solvent (like isopropanol) while it is hot, the sudden thermal shock from the boiling solvent could cause the sticker to crack. The same goes for glass, especially if it is not borosilicate glass. Some filaments, usually the flexible ones, should not be printed on a BuildTak-like surface because they risk fusing with it. You can place some painter's tape on top. Of course you only need to cover the front edge (for the priming extrusion), the rear edge (for bed levelling), and enough of the centre where you will be printing. If a print starts warping early on, do not hope it will end well, abort it. It is not worth it risking a huge mess or even damaging your printer due to the nozzles crashing hard into the warped print. Only if there are some problems in the final stage of a lengthy print, it could be worth it to give it a chance. I've had some prints that seemed hopeless but did end up alright (see the photo below). I even managed to save a dual extrusion print by anchoring a warped wiping skirt to the bed with tape, but this is stuff you should only try if you know what you're doing. An example of a print that miraculously recovered after the inactive nozzle had knocked over one of the supports. The other one survived, and the overhanging material stopped warping just in time. I avoided a repeat of this situation when I printed a second copy, by rotating the model with the supports pointing away from the inactive nozzle. Small holes will usually be printed with too narrow a diameter due to all kinds of effects. If it is crucial for a screw or axle to fit, you may want to design your models with polyholes, although they are not a guarantee for a perfect print. You can do a test print of only the part with the holes, and adjust the model if necessary. Models will shrink when cooling down after printing, this is especially the case with ABS. If accurate dimensions are needed, you should first print a long test piece with the same settings and measure how its dimensions differ from the model. Then apply the inverse scale factor before printing the final model. Do not attempt to make dual material prints that mix ABS and PLA unless you really want to do something specific. The materials are quite incompatible. You can install a Toshiba FlashAir W-03 WiFi SD card to turn your printer into a WiFi base station or client, so you can wirelessly upload X3G files. (The info on that linked webpage is a little outdated, for instance recent versions of the card do support long filenames.) You may want to install my Web UI on the card to upload and manage files, it also comes with the necessary config templates to get the card working. Do not try to tap into the 5V lines of the endstops to attach LEDs or something. They are fed direcly by the microcontroller and will be damaged if too much current is drawn from them. If you want to attach extra lighting, your best bet is to use a separate voltage or current source hooked up directly to the 24V of the main PSU, or the mains lines if you really want zero risk of your tinkering blowing up the printer's electronics. Whatever hacks you try, make sure not to short-circuit any of the powered outputs (like the EXTRA output that drives the cooling fan). There is nothing that protects the MOSFETs from blowing up themselves. Replacing them is feasible, but requires considerable skill. Do not try to make an EEPROM backup with the ‘avrdude’ utility, the backup will be corrupt due to a bug in the bootloader of the printer. You can make a backup on SD card from within the LCD menu. You can use avrdude without problems to make and flash backups of the firmware itself, and sending an EEPROM file to the printer also works, only reading fails. If you want to try flashing a custom or experimental firmware, make sure it is specifically built for the Creator Pro! A specific modification to the heated bed control routine is required, without it the heater will draw too much current and the printer will malfunction or even become damaged. Cooling is very important. Ideally you should cool the freshly extruded filament as quickly as possible to the point where it solidifies and no longer shrinks significantly, but not beyond that point. In theory you should blast the printed object with air just below the glass transition temperature, but that is not feasible with a consumer printer like the FFCP. To make things worse, the fan on an unmodified FFCP has no speed control, it is either 100% or 0% no matter what your slicing software pretends. The 100% fan speed is appropriate though in many cases, as long as you are using the stock hot-ends with undemanding filaments. PLA works fine with the fan at 100%. It usually also works well for small ABS objects printed with the ‘extrafine’ setting, which can suffer from deformation without cooling. For all other ABS settings though, cooling is usually a no-go if you cannot reduce fan speed. PETG is even more sensitive to cooling but still it yields the best results with a very low non-zero fan speed. The best solution to obtain variable fan speed is to let the printer communicate with a Raspberry Pi that handles the PWM control. A simpler but more cumbersome solution is to use a manual PWM controller. You will often read that you should “calibrate your printer”. What this means, is compensating for the discrepancy between actual versus expected length of filament consumed by the extruder. This discrepancy depends on how soft the filament is and how deep the teeth of the extruder gear bite into it. The deeper, the smaller the effective radius of the gear, and the more you will be under-extruding. This is compensated for by applying an extrusion multiplier. A traditional but cumbersome and wasteful method to determine the multiplier, is to print solid 20 mm test cubes while trying various multipliers until the top surface doesn't sag nor bulge. This method had the ‘advantage’ of also compensating for the filament diameter deviating from its assumed value, but that is not what the extrusion multiplier is meant for. You must always accurately measure your filament diameter and configure it in Slic3r. If you do that, then you can use a far more effcient method to determine the extrusion multiplier. The idea is to extrude a known length of filament and then measure how much of it was actually consumed by the extruder. This article explains how to do this. Files to extrude specific amounts of filament on the FFCP can be found here. For typical filaments that are not extremely soft, the multiplier should be within the range 0.9 to 1.1. For things like NinjaFlex it can be higher. It is not essential to determine the multiplier exactly. In most cases you can make an educated guess and if your prints look good and are accurate, then you shouldn't change the multiplier even if calibration says you should. To get maximum quality on single-extruder prints, remove not only the unused nozzle as explained above but also the unused stepper motor. This will reduce carriage weight, hence reduce ringing (ripples at sharp corners). If you remove the right stepper, you must put a dummy one in place to ensure the X endstop is triggered. Too large a retraction distance can cause air bubbles to be caught in the extruder, which will lead to an audible ‘pop’ a certain time after the extruder resumes, and a visible gap in the extrusion. Reduce extrusion distance until the pops are nearly impossible to hear. If you cannot eliminate the popping even with unacceptably low retraction distances, try reducing retraction speed (for some filaments I need to lower it to 9 mm/s). If your filament makes popping noises and holes in the extrusion at random moments even after you have perfected retraction settings, it has likely absorbed too much moisture. You can dry it by placing it in an oven at about 60°C (for PLA) or up to 80°C (for ABS) for at least 4 hours. Polycarbonate can even be dried quite quickly at 120°C, but you will probably need to take it off the spool, which cannot handle that kind of heat. Ensure the oven does not exceed the set temperature. A convection oven is best, but a regular oven is also OK if you put the spool in a cardboard box with holes in the sides, such that the box acts as a buffer against variations caused by the thermostat. Always store the filament in a sealed bag with desiccant when unused, to greatly slow down the rate at which it absorbs moisture. Some filaments like polycarbonate or nylon are even worse and are so hygroscopic (i.e. will absorb moisture so easily) that merely holding the filament with your bare hands will make it humid enough to ruin your prints. Do not use your bare sweaty hands to wrap a polycarbonate or nylon filament sample around a spool! Polycarbonate will not merely pop or look slightly bad when humid, it will foam like a rabid dog and ooze, and your prints will turn out a disaster. Manipulate such filaments with rubber gloves only, and keep exposure to room air to a minimum. If the room is reasonably humid, the filament may even become too humid within the duration of one print. Your only option in that case is to make an airtight spool holder box filled with desiccant, and provide an airtight feeding tube right up to the extruder. Of course, there is no guarantee whatsoever of fitness for any purpose and so on, use at your own risk.